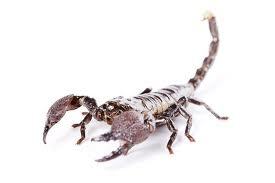 Why am I seeing so many scorpions in my home? Do you have an attractive food source they like, particularly insects and spiders? If so, have your Enviroguard pest management professionals treat for these pests. Also, you can vacuum spiders and spider webs and even vacuum and remove the scorpions. These crustaceans are active at night so your technician may schedule a later appointment time and will use a black light to find their resting sites (the scorpions will fluoresce under the black light). Pest proofing all cracks, crevices and entry points with screen, caulk, or weather-stripping will help. Remove harborage sites including mulch, rock or brick piles, and stacks of wood. Treatment of your home’s exterior, attic, crawlspaces, and wall voids is often necessary and several re-treatments may be necessary since scorpions hide after feeding and may not come in contact with the initial insecticide applications.